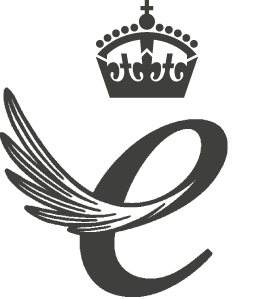 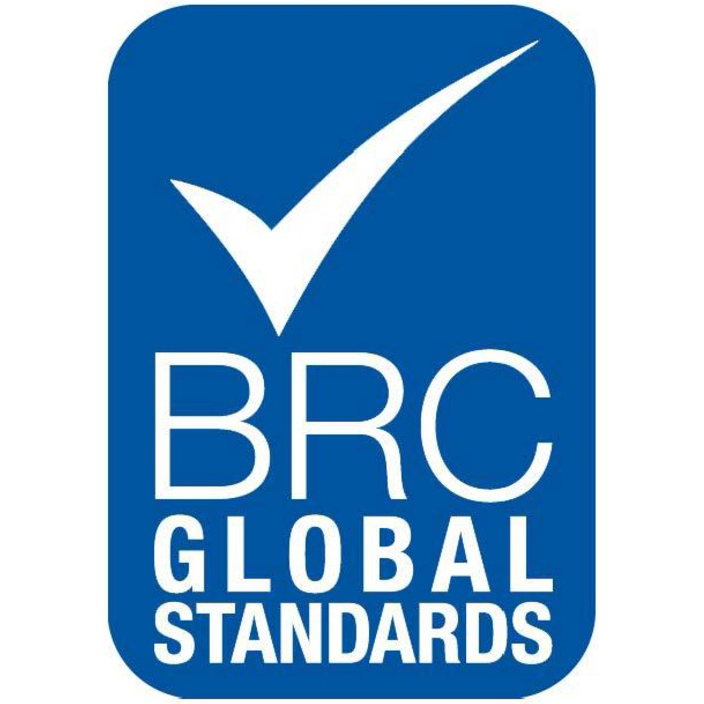 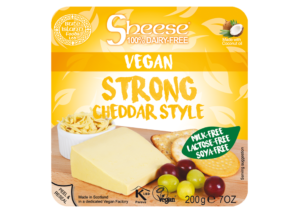 With over 20 years of experience, Bute Island are one of the UK’s leading manufacturers and suppliers of Vegan and Dairy Free cheese. 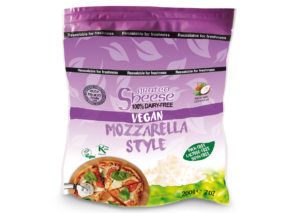 Sheese satisfies the growing demand for dairy products in the free from market, using coconut oil to create authentic tastes and textures. 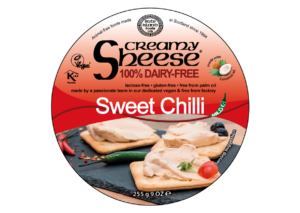 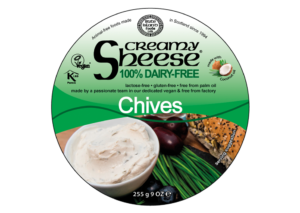 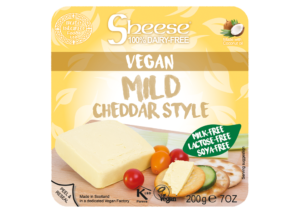 All Sheese products are Dairy Free, Vegan, free from gluten & lactose and are produced at a dedicated free from factory on the beautiful Isle of Bute. 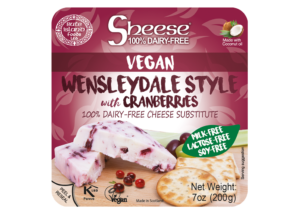 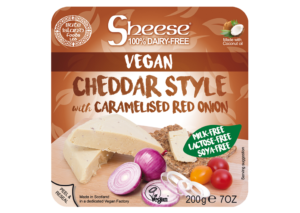 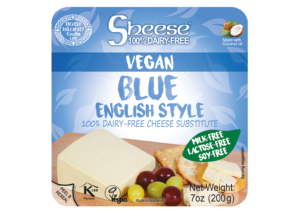 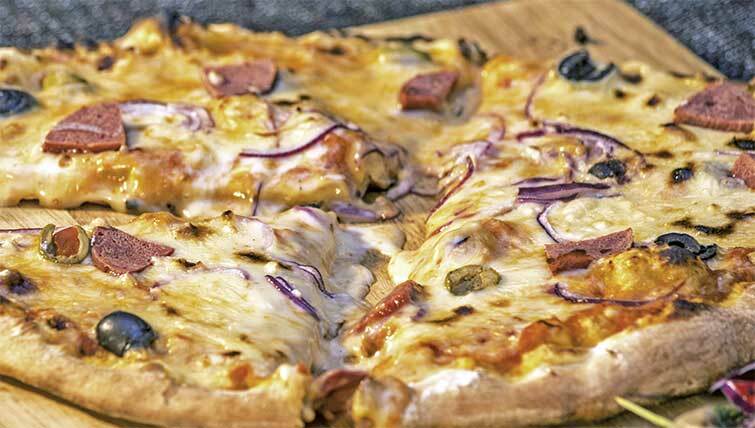 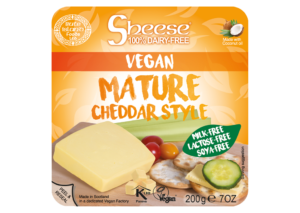 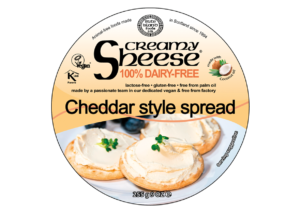 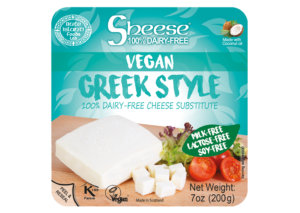 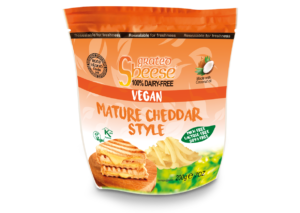 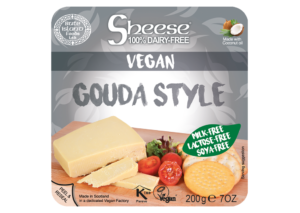 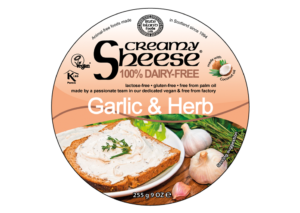 This Vegan and Kosher Gouda style is a non-dairy alternative made with Coconut oil and Soya it has a strong authentic flavour, delicious on pizza or grilled cheese sandwiches.